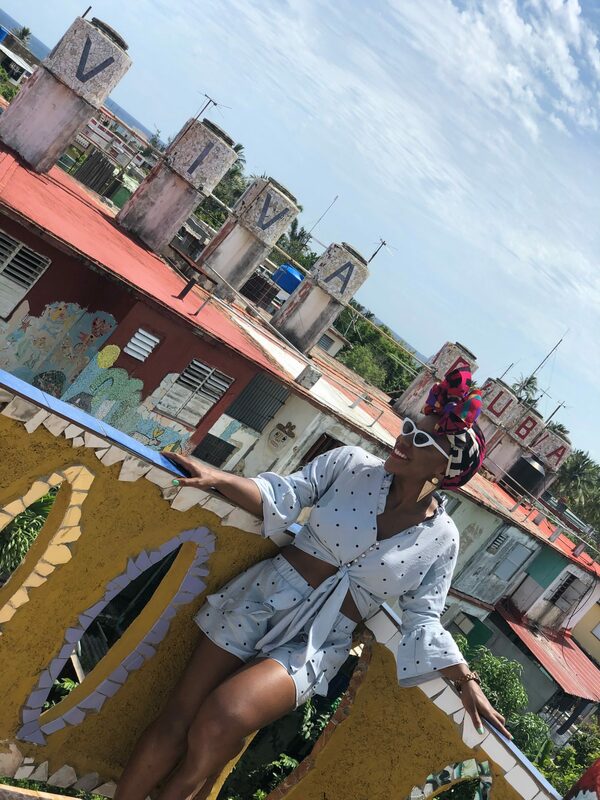 I wanted to star this new year off by highlighting my favorite travel destination of 2018—Cuba! 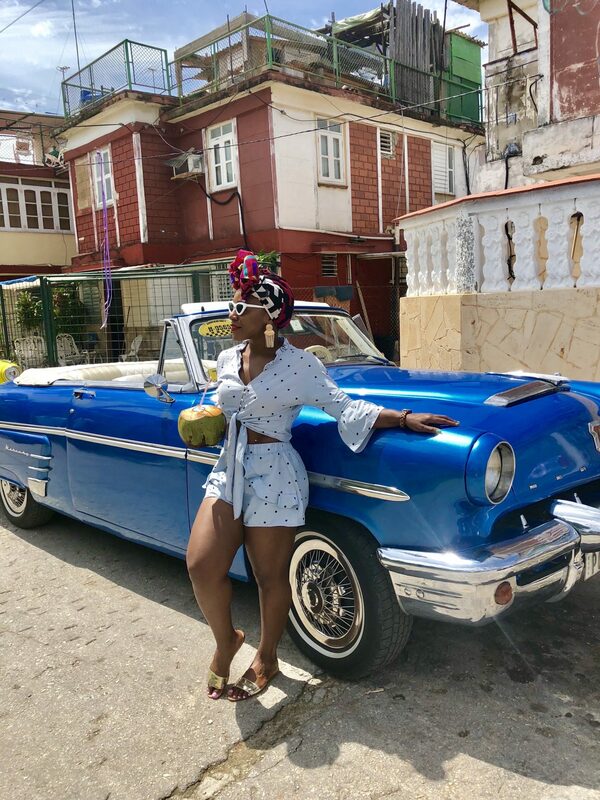 Cuba has always been high on my travel bucket list due to its rich culture, and because I’m a low-key history nerd with a deep love for historic sites and anything vintage. Naturally, I was excited to live out my 1950s and 1960s dreams. 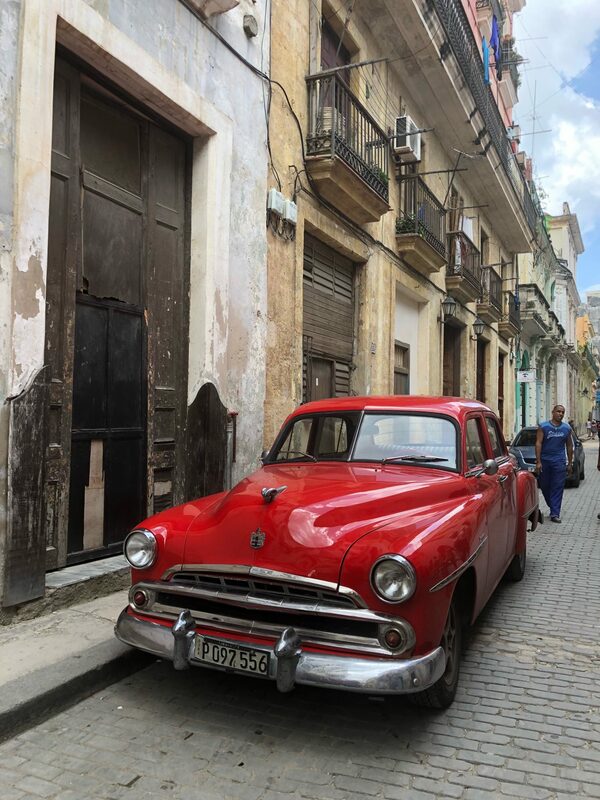 Cuba’s culture has been shielded from tourist influence and allows visitors a glimpse back in time. 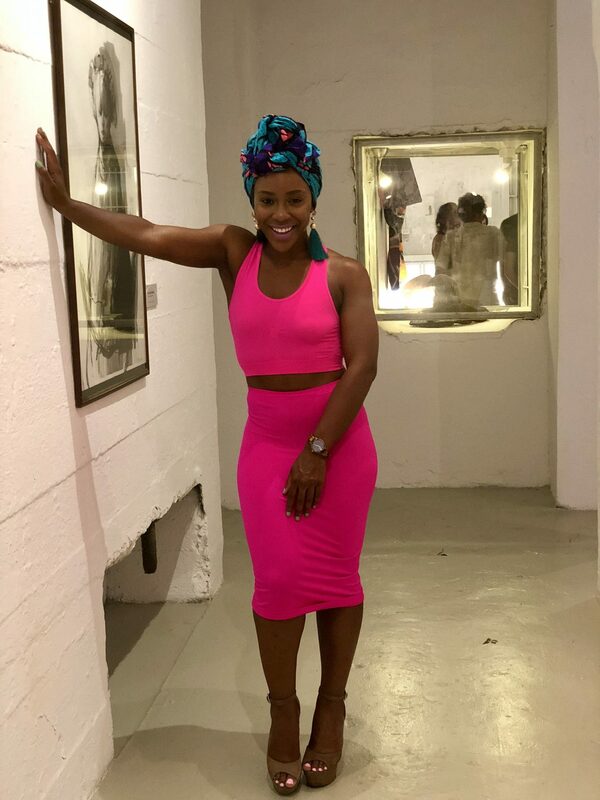 From riding in old cars to observing vintage fashion and dining in elegant paladars, I was living my best life. 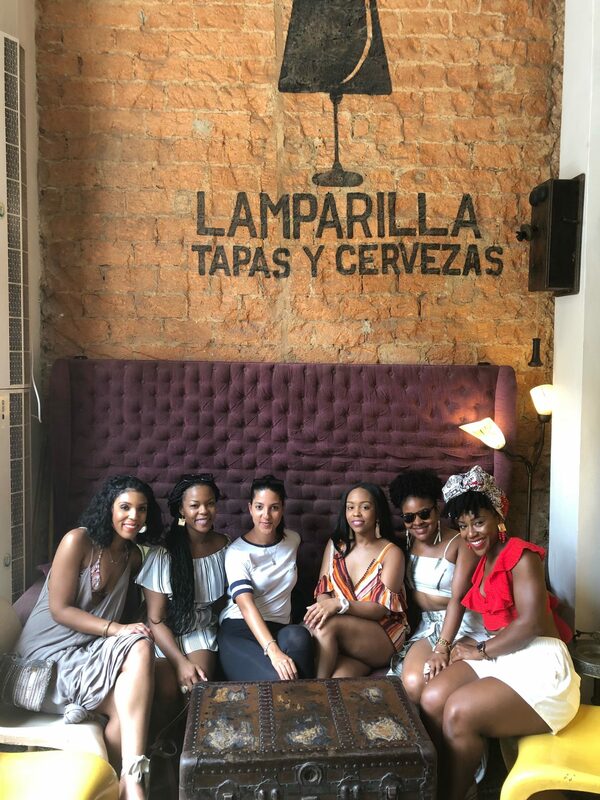 In this post, I explore the highlights of my Cuban experience. 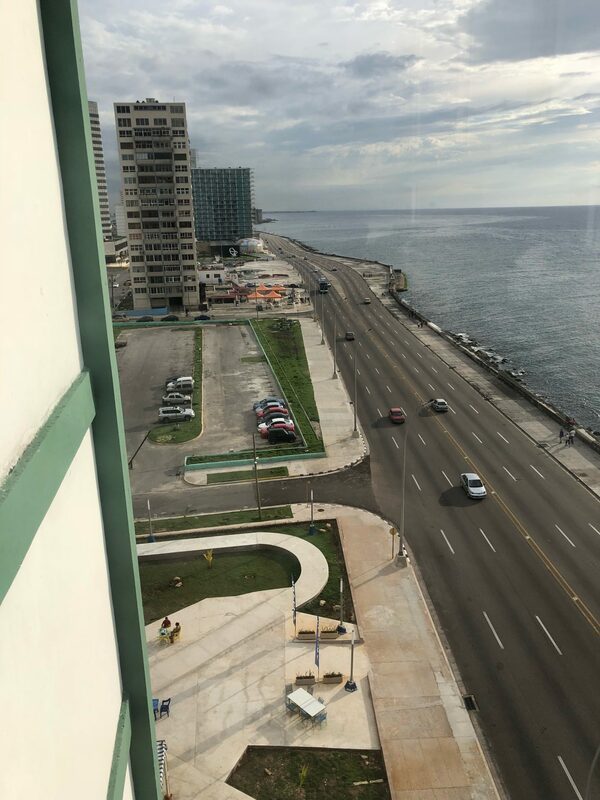 In a later post, I plan to share important practical information you’ll need for planning purposes (as a quick preview: yes, I felt safe during my time there and yes, as of the date of this post, it is legal for Americans to travel to Cuba under specific circumstances). 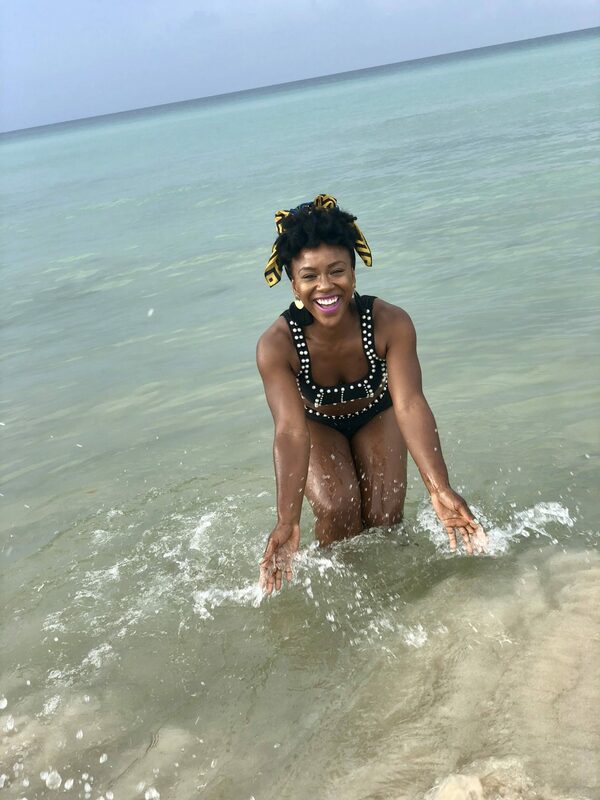 For now, let’s go on a living spree! 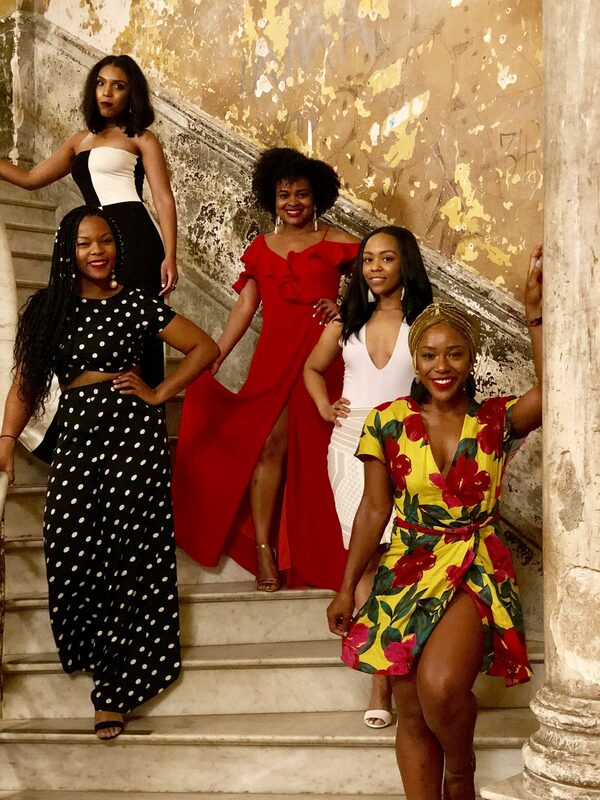 My girlfriends and I flew into Havana’s airport on a Monday afternoon and headed straight for the money exchange counter located in the airport, where we exchanged Euros for CUC (Cuba’s primary currency). We took a private shuttle straight to our beautiful home for the week. Upon arrival, we were each greeted with a piña colada made with fresh pineapples! 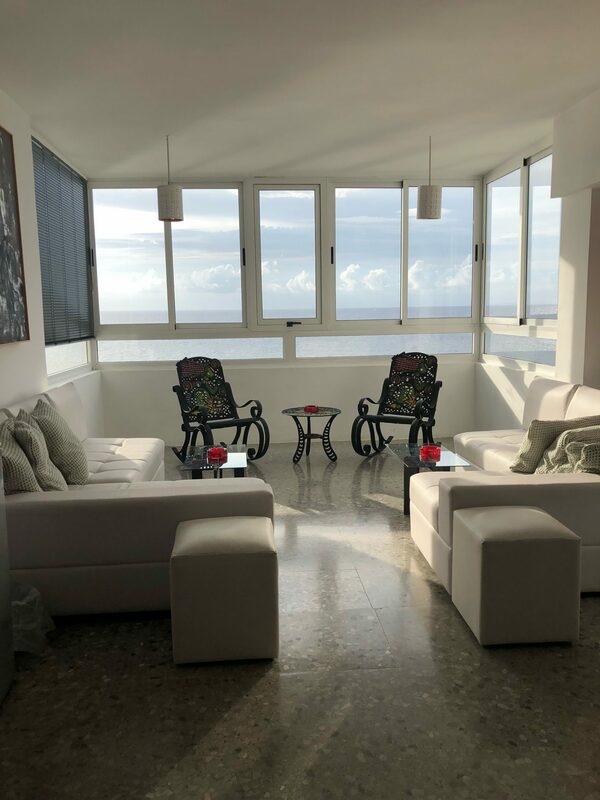 Our “home away from home” was a recently renovated private residence with a breathtaking ocean view in the heart of the beautiful Malecón neighborhood, which is about a 5-7 min taxi ride to Old Havana and walking distance to local restaurants and bars. 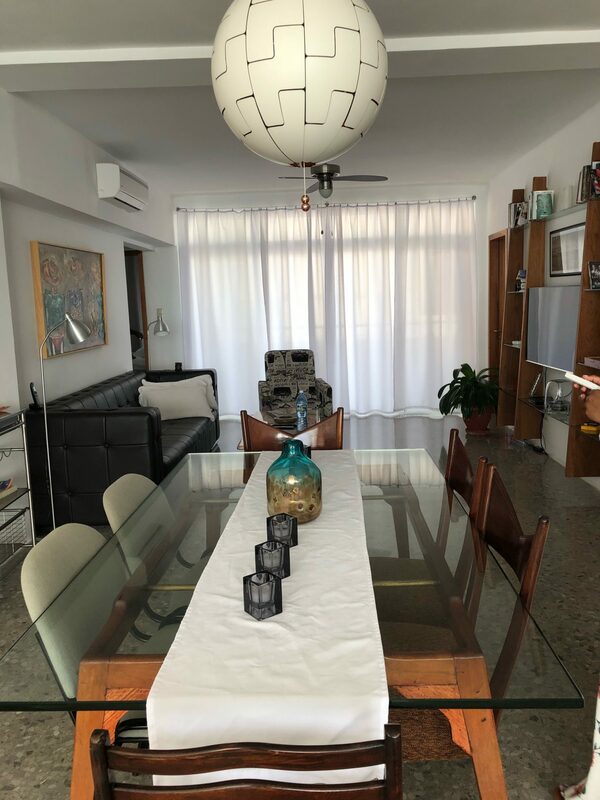 We were able to access Wi-Fi inside our residence for a small, daily fee. 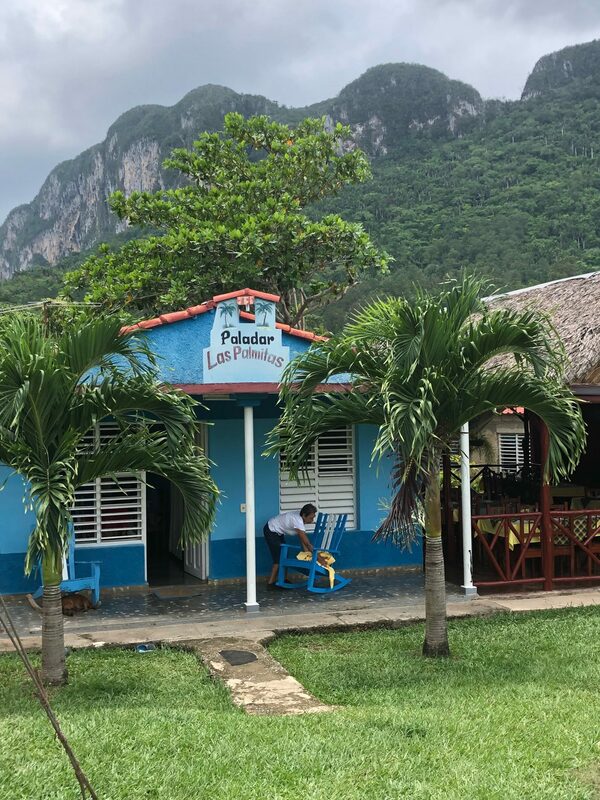 Every morning, the incredible house staff prepared an amazing breakfast, including freshly squeezed juices, eggs, fresh fruit, cheese, bread, meat, and pastries—all for less than $8 per person! 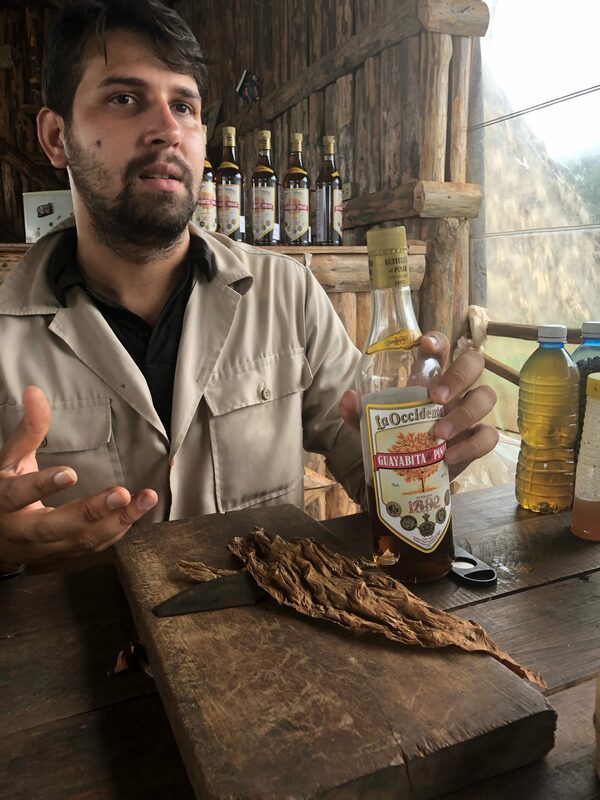 FYI, everything in Havana is very affordable. 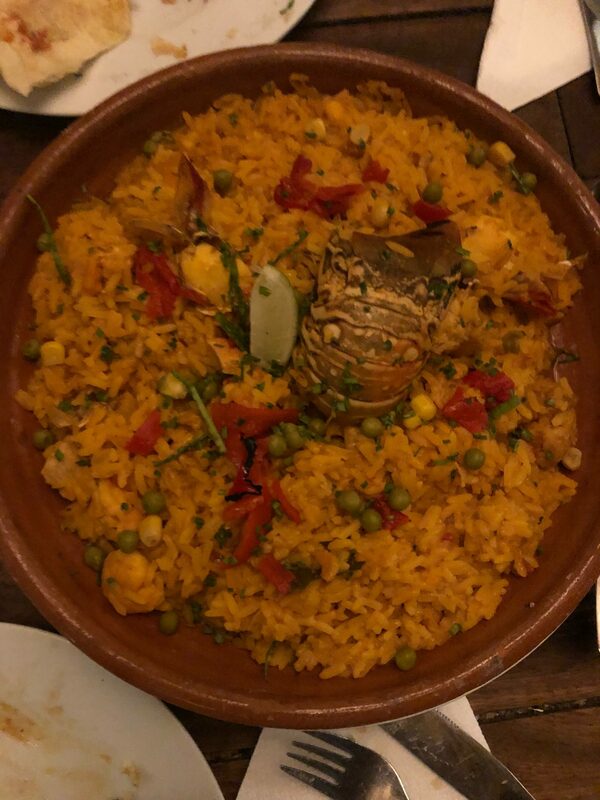 That night we enjoyed an elegant dinner at a popular, privately-owned restaurant called La Guarida. 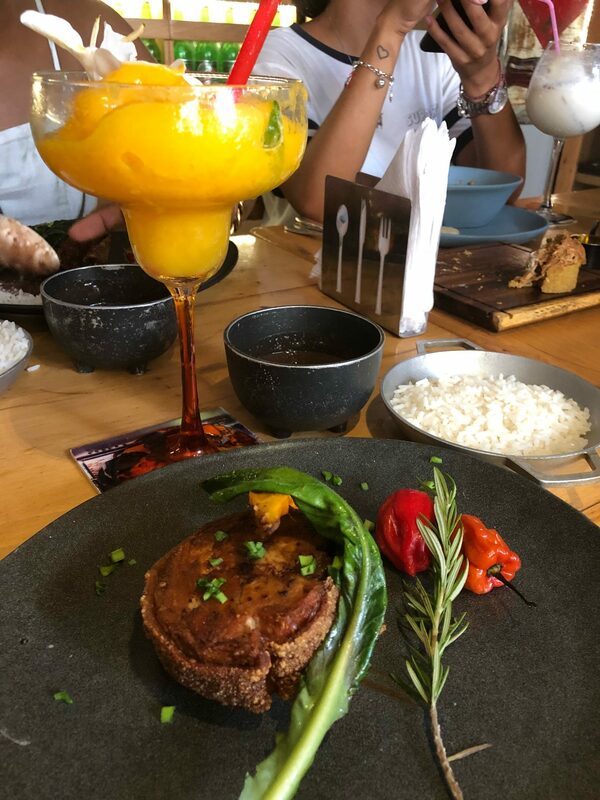 We had one of the best meals of the trip there and, in my opinion, the best piña colada. 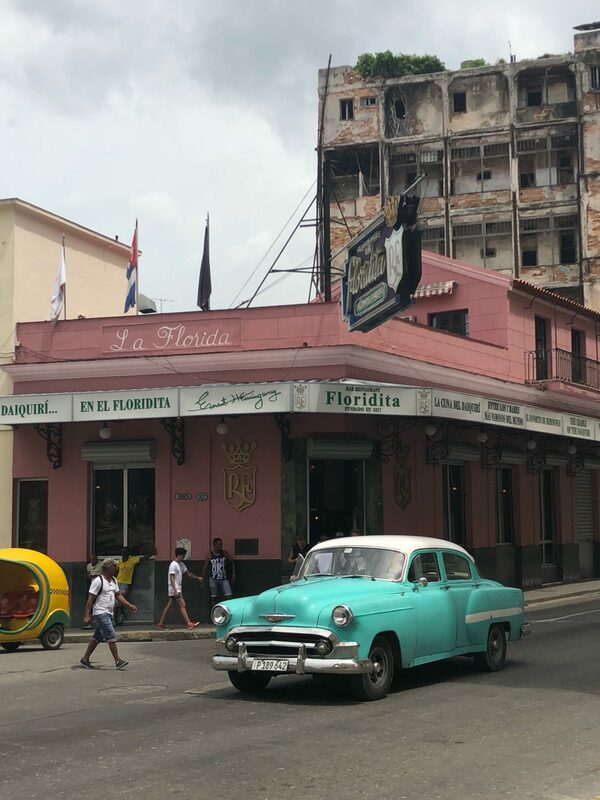 La Guarida’s magical ambiance, decadence, and spectacular view of Old Havana will take your breath away. I marveled at the castle-like mansion with its grand staircase, enchanting decor, and beautifully preserved walls. I highly recommend this paladar, but definitely make reservations in advance and don’t be surprised if you run into a celebrity or two while there. 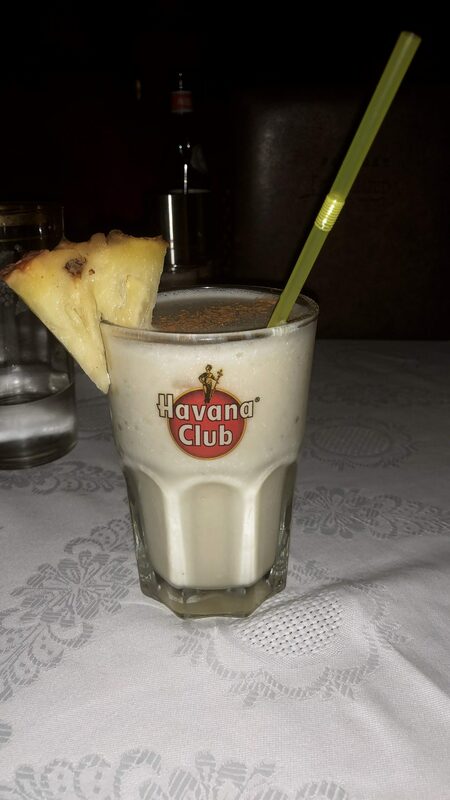 The BEST Pina Colada ever! 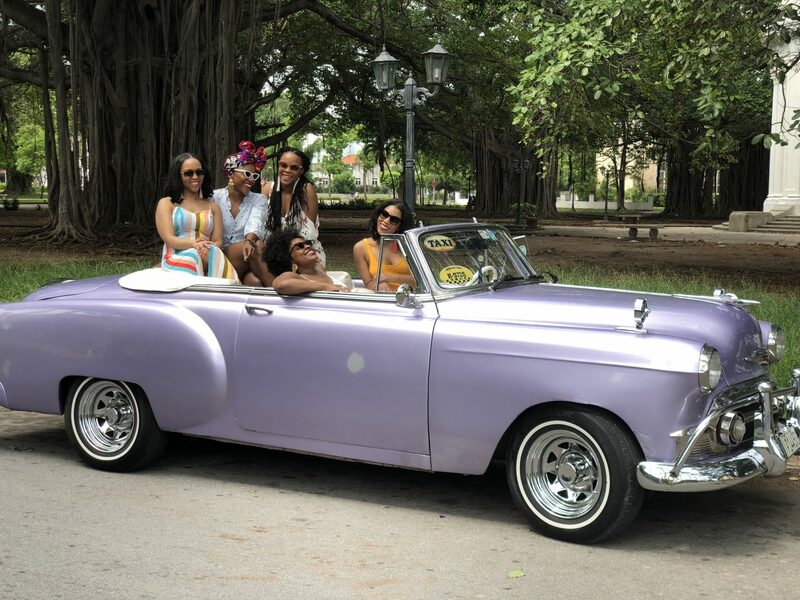 We began the day with the quintessential Havana experience: an “old car” tour, which we booked online through Old Cars Havana prior to arrival. Touring the city in old-school convertibles was pure magic! 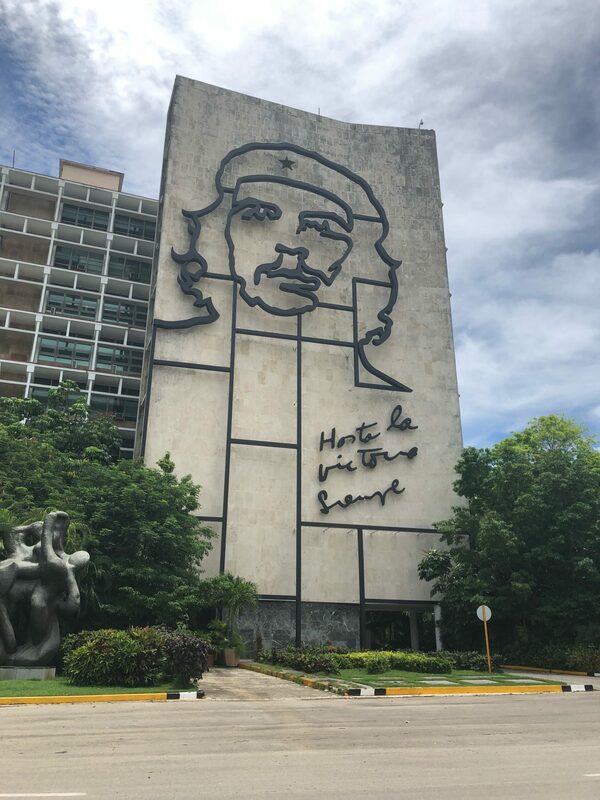 We stopped at major attractions like Revolution Square—known for the iconic mural of Marxist revolutionary, Che Guevara, and as the backdrop for Fidel Castro’s most memorable speeches. 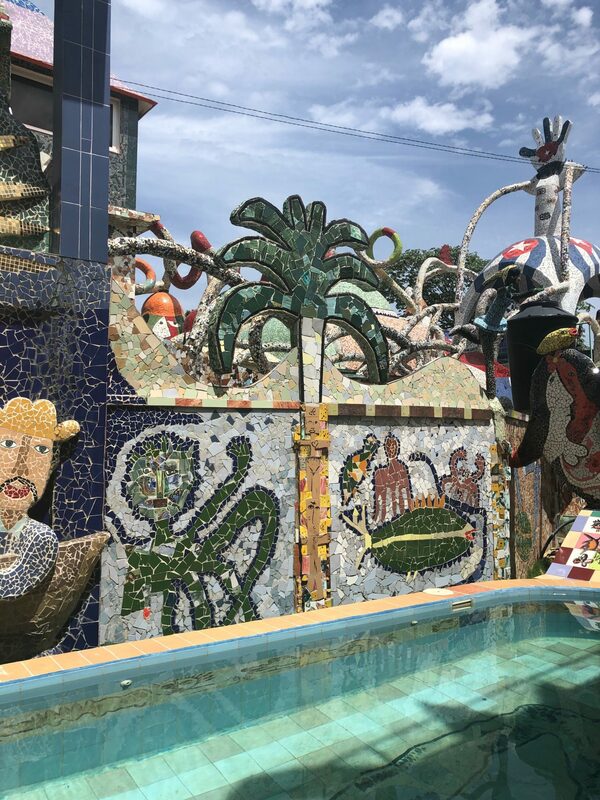 We also visited Fusterlandia, a unique, reclaimed streetscape covered in José Fuster’s fascinating and whimsical artwork. 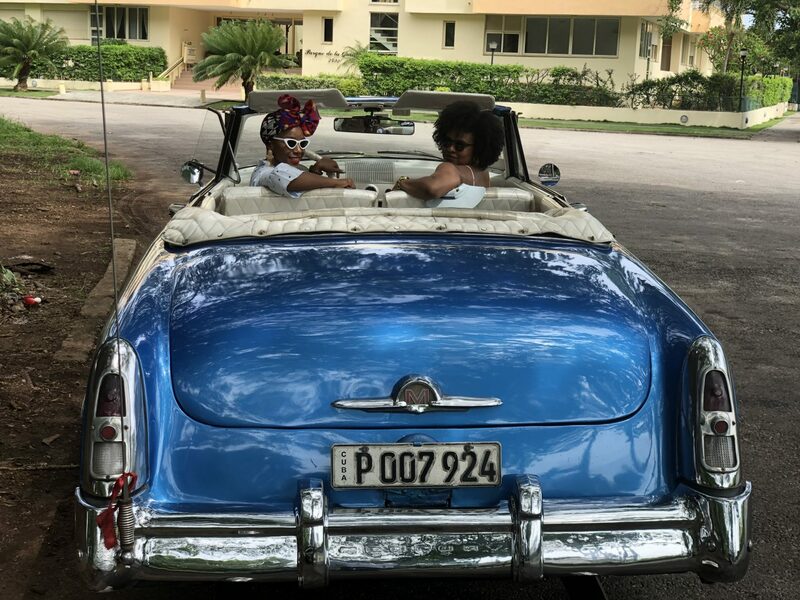 We learned so much from our tour guide about Cuban history and culture while enjoying the remarkable experience that is riding around in a functioning piece of history. 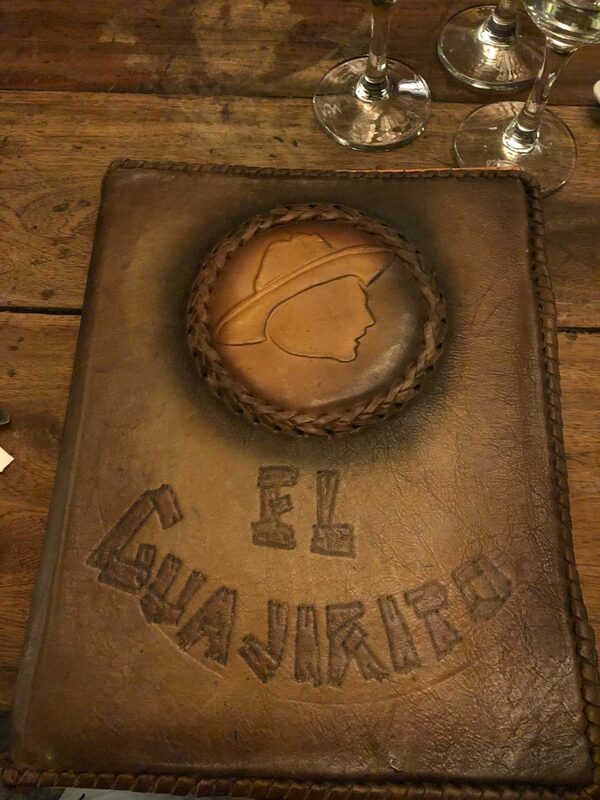 After the tour, we had an excellent, casual lunch at El Guajirito. Next, we explored the bustling city by foot and mingled with residents on our way to a private salsa class. 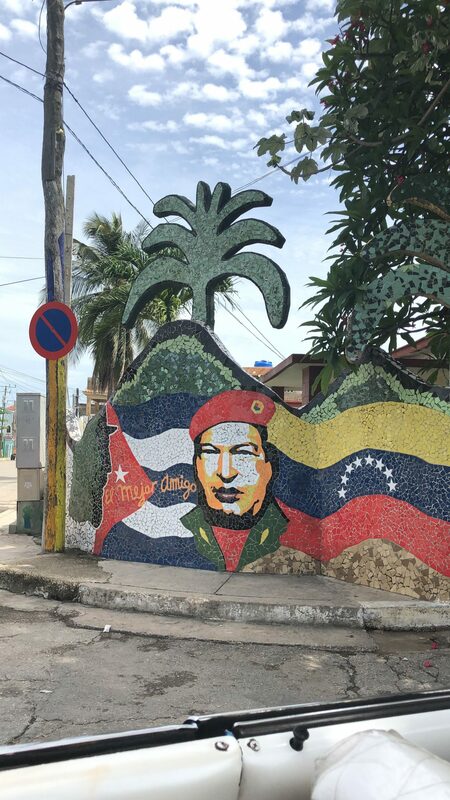 Be prepared ladies, if you travel on foot, you may receive a proposal or two from a handsome Cuban suitor. Our salsa lesson was intense! 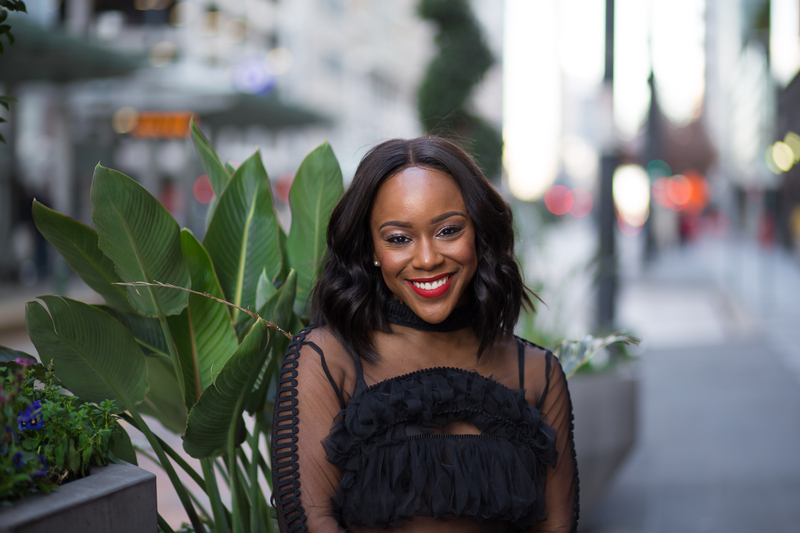 We really thought we knew how to dance until our instructor challenged us with rigorous combinations that made for the perfect after lunch workout. By the end of the class, we had learned an entire dance, sweated right through our clothes, and even picked up a few, local phrases! 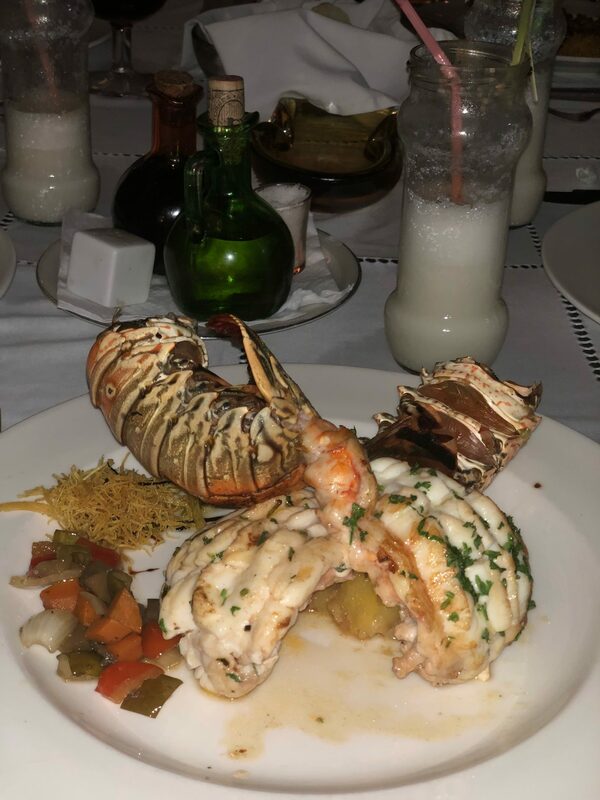 That night, we enjoyed a lobster feast in Malecón at Atelier for under 20 USD (yes, you read that right). We also partied at the local club before calling it a night. 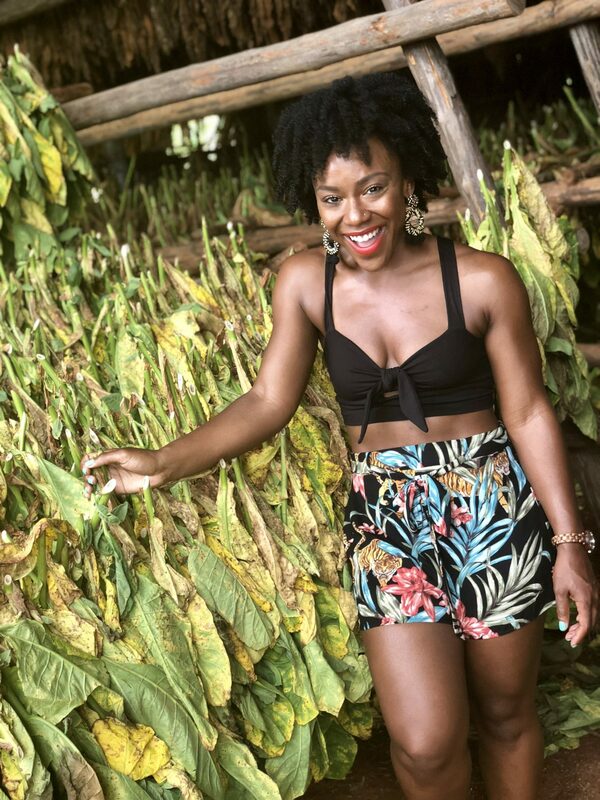 We took a break from city life and traveled to Viñales to tour the infamous tobacco farms. This trip was an unexpected bonus as we negotiated a deal with our “old car” tour guides the day before. Pro tip: negotiate everything—from souvenir prices to taxi rides and even tours! 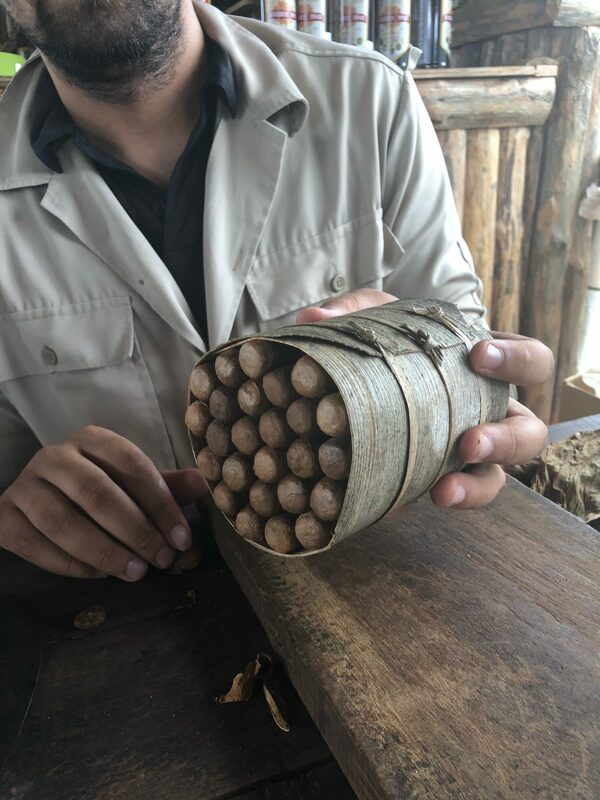 As part of the tour, we experienced the entire cigar making process from tobacco seed to leaves to cigar. 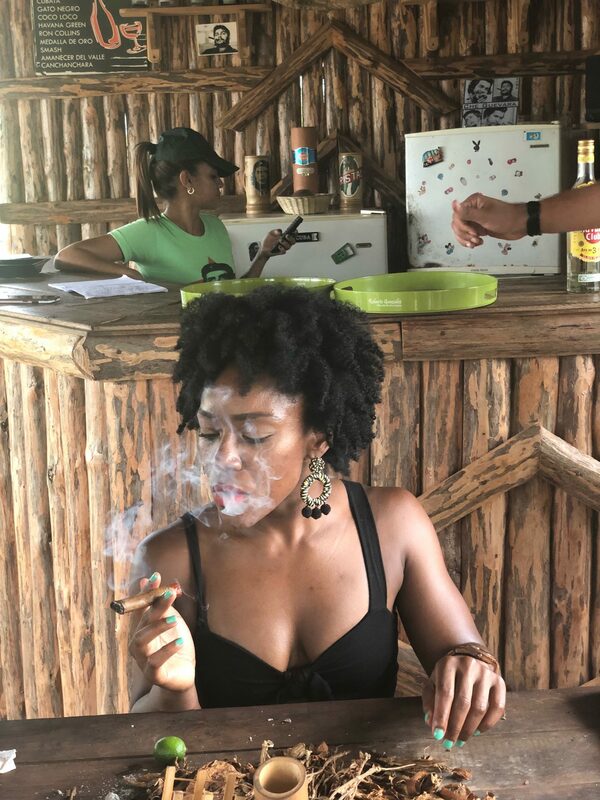 For the culture, we also learned how to roll and properly smoke an authentic Cuban cigar. There was even an impromptu rum “tasting” and a dance party during which we utilized our salsa skills. 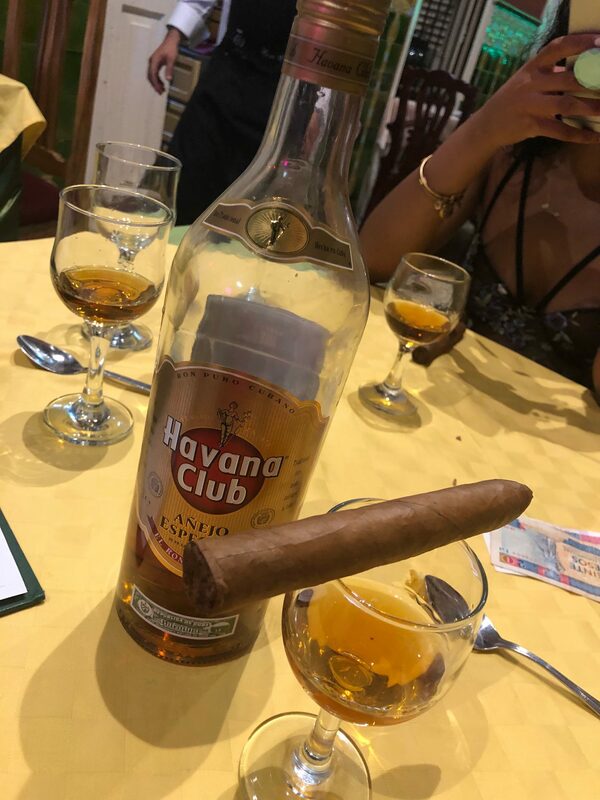 When in Cuba, do as the Cubans do! 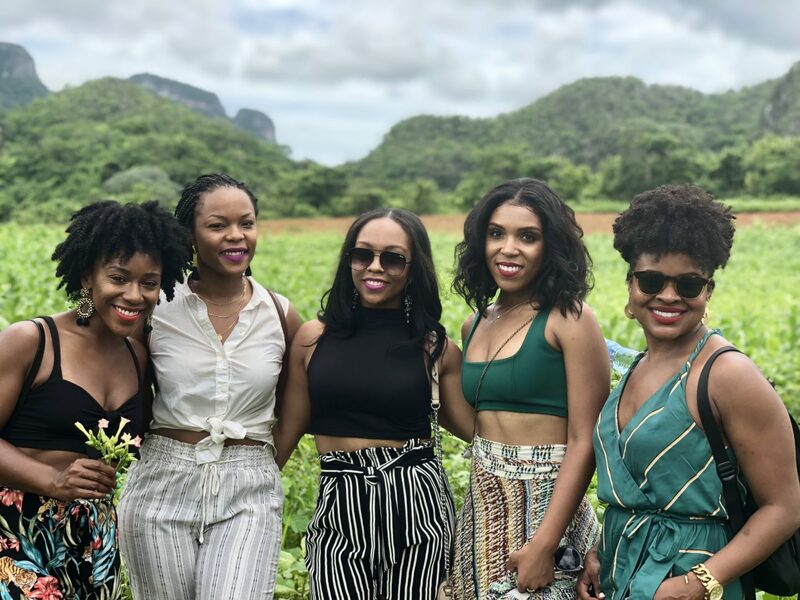 Overall, our Viñales experience was really special. 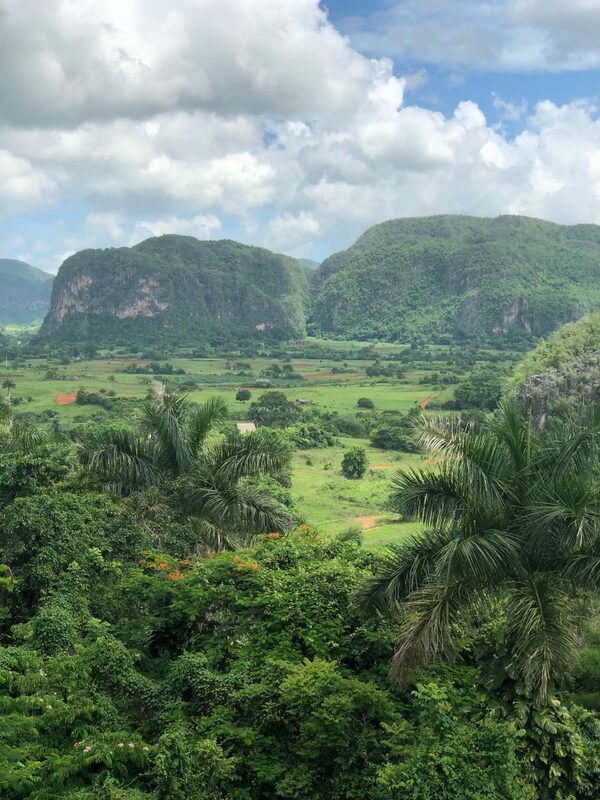 We immersed ourselves in Cuban culture, had interesting conversations with farmers, haggled with locals in the town market, and ate lunch amid Viñales’ vast mountains and lush, green valleys. Listen. We did the absolute most on our last day! That morning, we took a walking tour led by Zoe, a fabulous Cuban resident I met through a mutual friend. 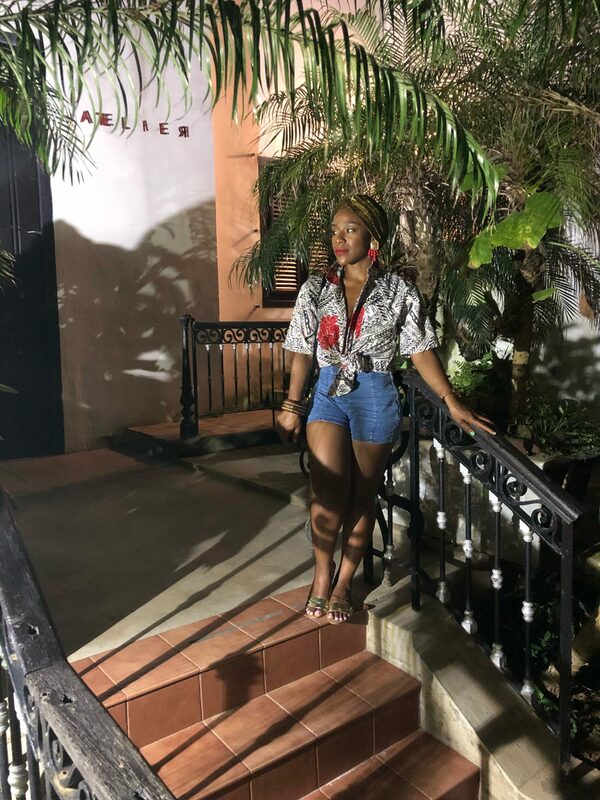 Zoe, who is fluent in English and Spanish, was extremely knowledgeable about Cuban history, architecture, culture, government and all the “must see” spots in Havana. 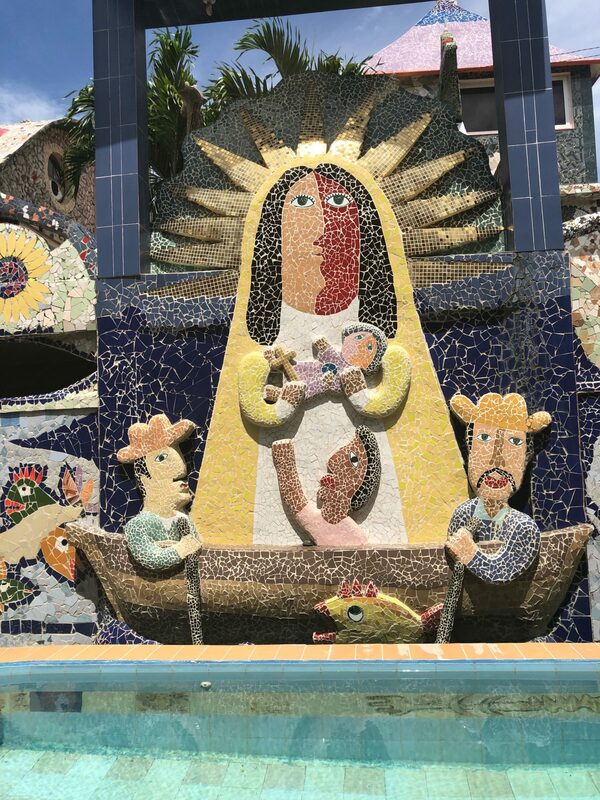 We started the tour in Plaza de la Catedral. 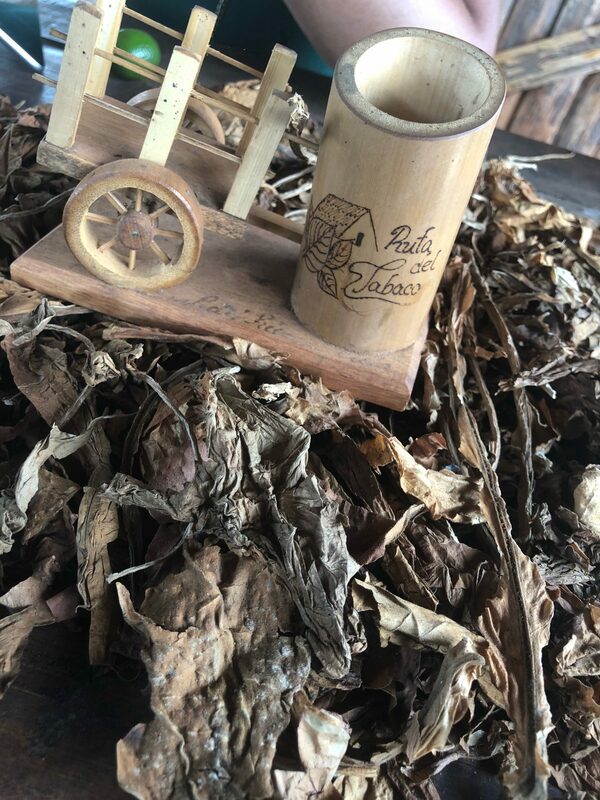 This area is known for the older women smoking cigars, commonly seen in pictures and paintings. You can take pictures with them in exchange for a tip. 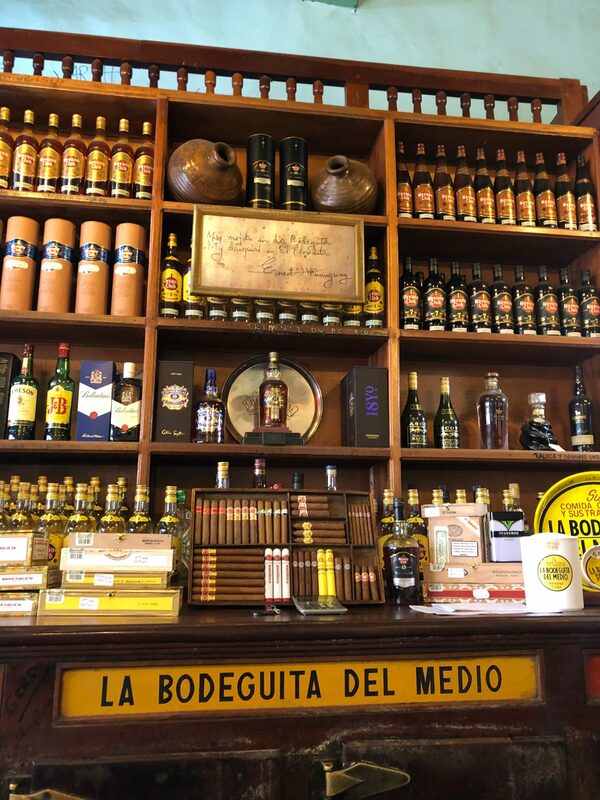 Next, we walked to La Bodeguita del Medio, a popular bar frequented by famous patrons such as Ernest Hemingway and Fidel Castro to name a few. Their mojitos are a staple for most tourists, but they are a bit overpriced (5 CUC, while most restaurants charge 3 CUC). 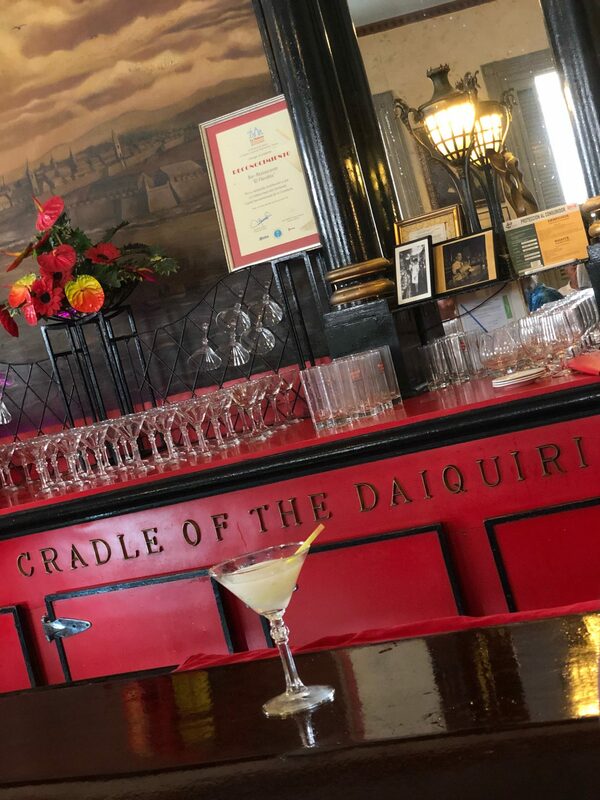 Other epic moments in the walking tour included: El Floridita, known as the birthplace of the daiquiri, and Lamparilla Tapas & Cervezasin the heart of the city, where we had the best lunch of the trip complete with pineapple-filled daiquiris. 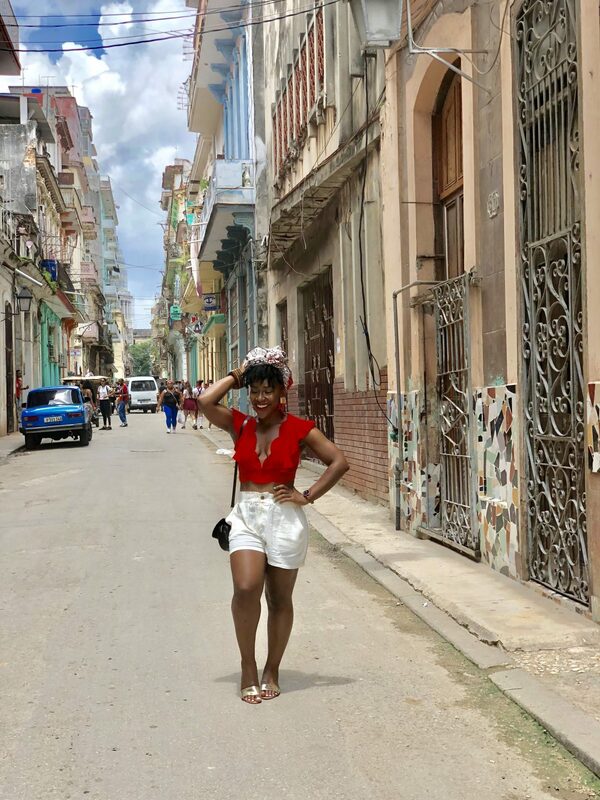 If you want an unforgettable and informative walking tour, you absolutely must link up with our girl, Zoe (see the end of this post for her contact information). Pictured with our tour guide Zoe. This place had delicious tapas! 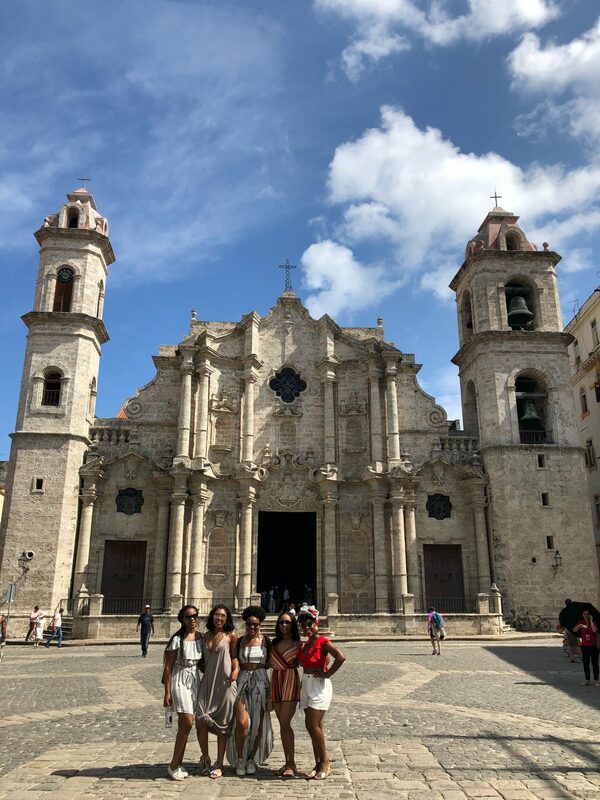 That afternoon, we spent a couple hours soaking up our last moments in the Cuban sun at Santa Maria del Mar, the closest beach to Havana (about 1 hour away). 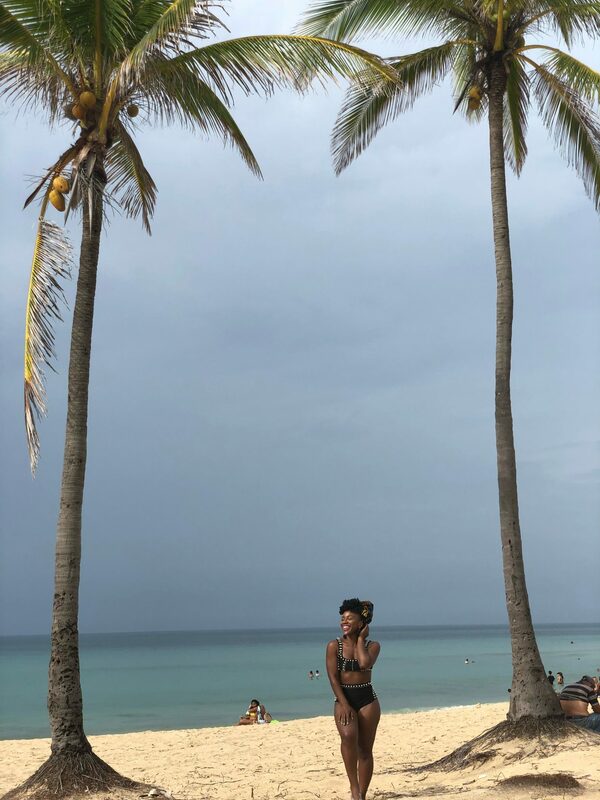 If we had more time, we would have driven to Varadero, another beautiful beach about 2 hours from the city. 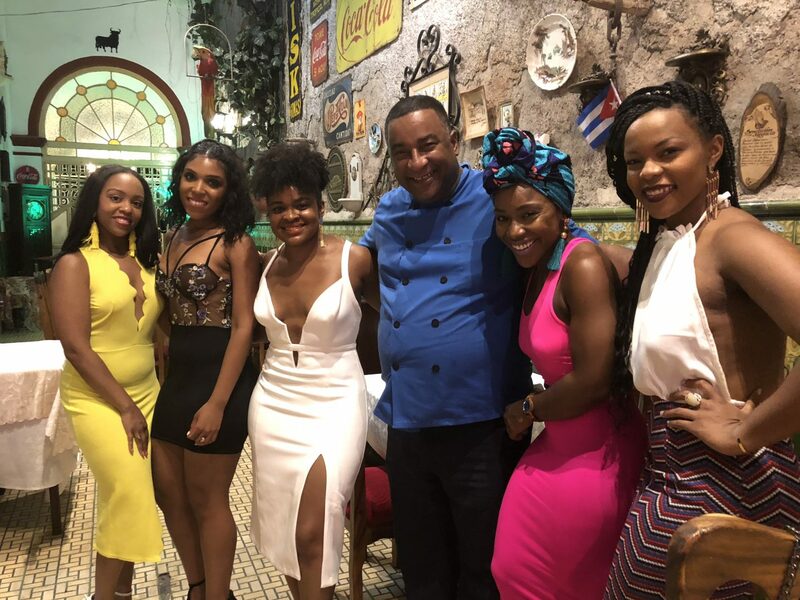 That night, we dined at Paladar San Cristobal, where Former President Barack Obama and First Lady Michelle Obama dined during their historic visit to Cuba ☺. The food was outstanding and I, of course, ordered the same meal as my FLOTUS. 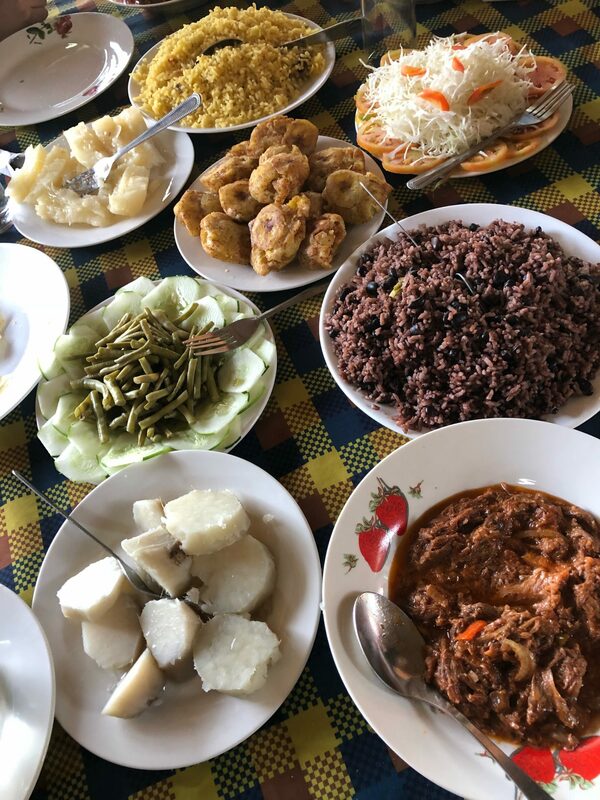 Before the trip, I had received mixed reviews about the food in Cuba, but everything I ate was fresh and delicious. 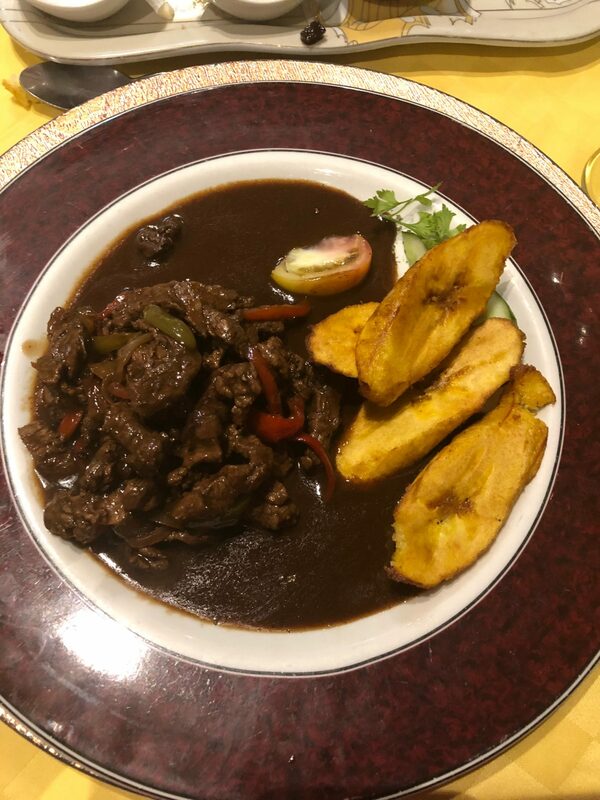 I will say that traveler’s diarrhea is real, so I recommend taking GI medication with you and being super cautious about eating street food. 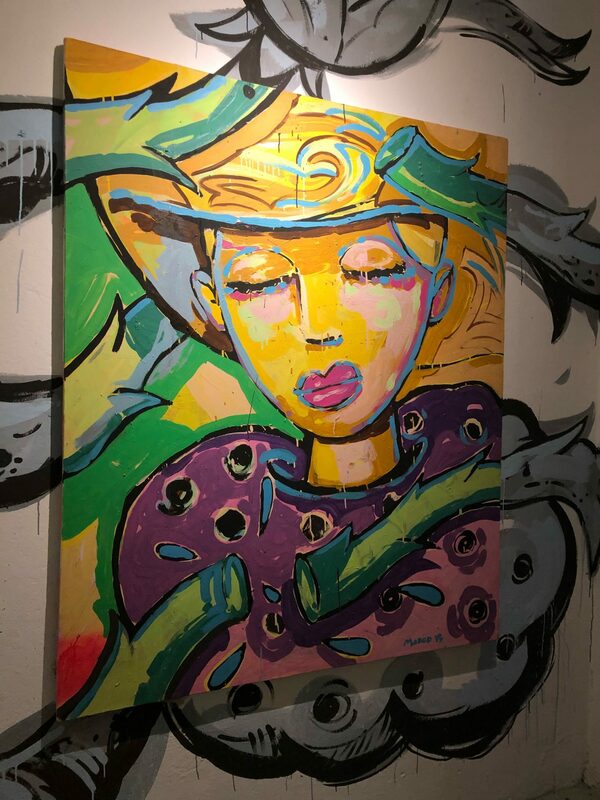 After dinner, we pulled together our best looks for Fabrica de Arte Cubano, a one-of-a-kind art gallery/lounge/dance club/restaurant/movie theatre where the cool kids hang out. It was unlike any place we had ever been. 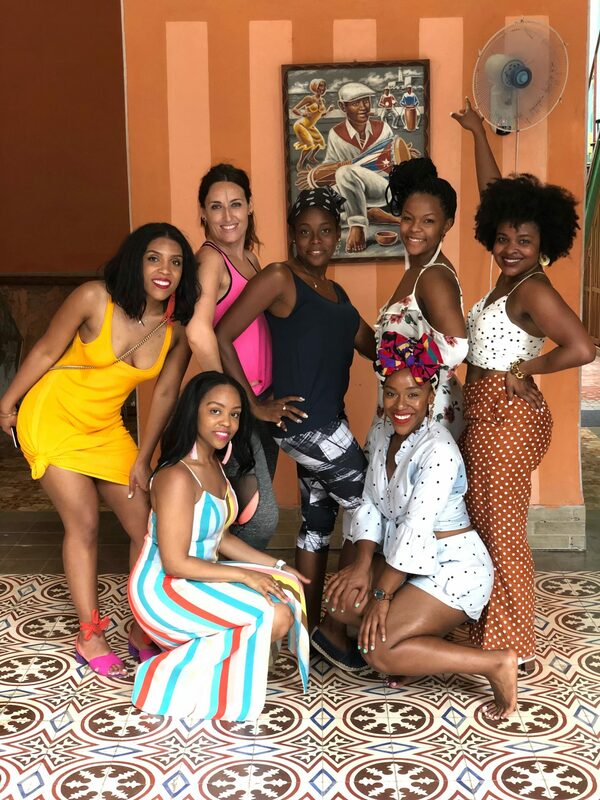 The experience was unreal and we had the time of our lives; we even spent a few minutes in VIP with an American actress and her crew. It was a pleasant surprise. 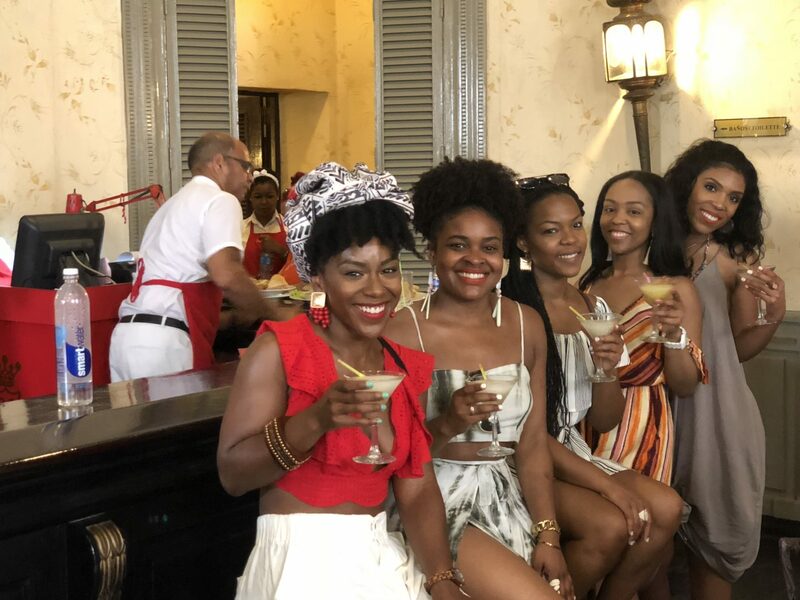 If you have more time than we did, be sure to get into Havana’s popping nightlife by visiting an authentic salsa spot or a club like El Tropicana, which hosts cabaret shows. 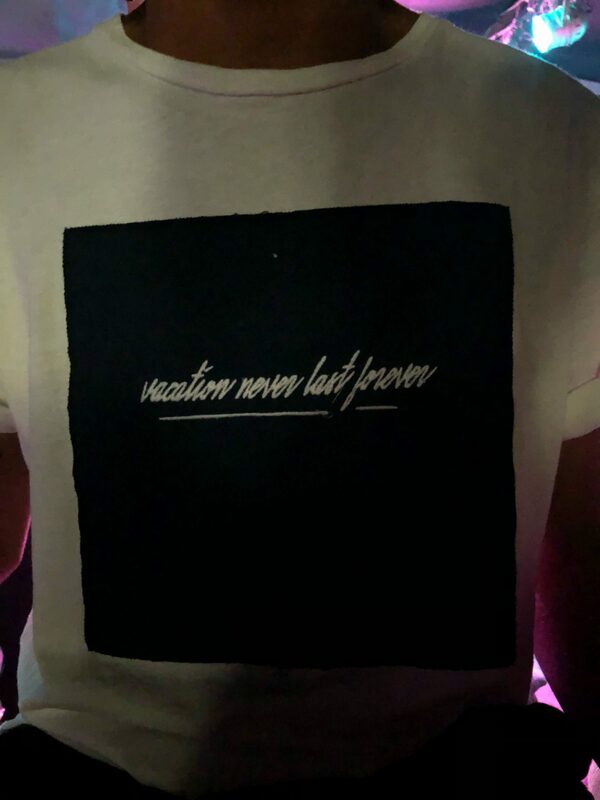 Although we saw and experienced a lot, we were not ready to leave! 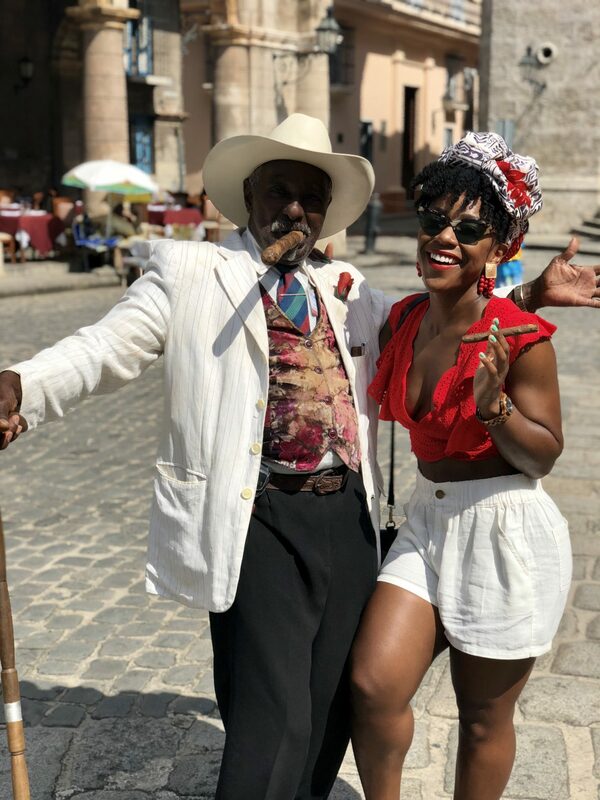 Cubans are so friendly, welcoming, and a joy to be around! Unlike other places I’ve been, the people there seemed excited to meet Americans and enjoyed exchanging stories about daily life and culture. It also helped that several of us, including me, were fluent in Spanish. 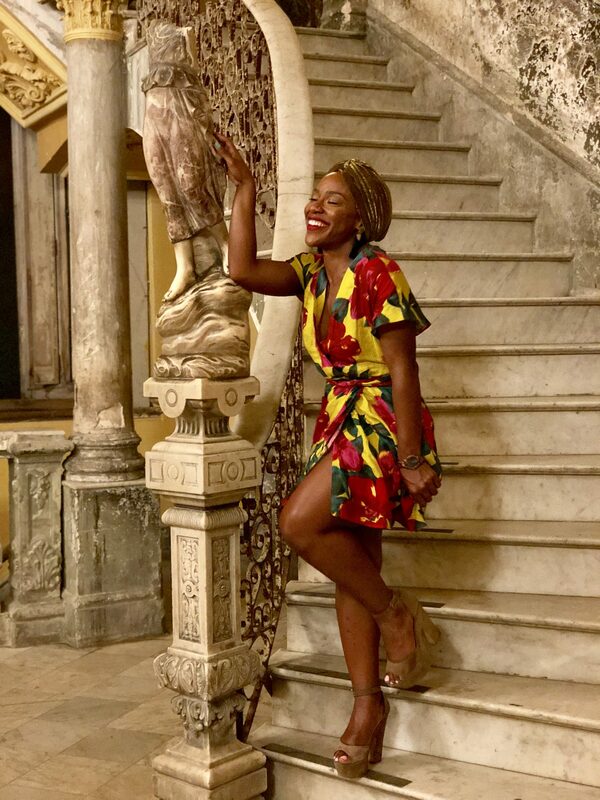 Overall, I felt so blessed to take in just a few of the gems Cuba has to offer. 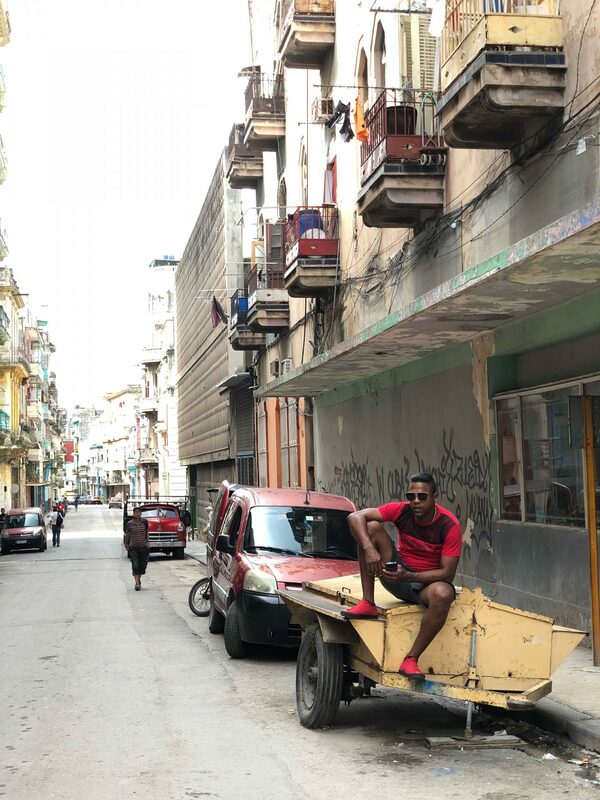 I will definitely be returning to Cuba soon! 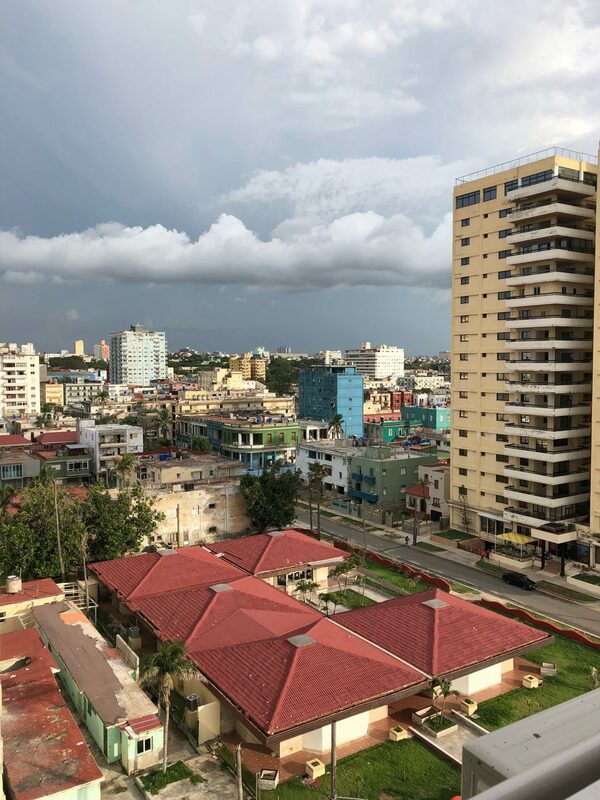 If you’re considering a visit to Cuba, I would love to answer any questions you may have. 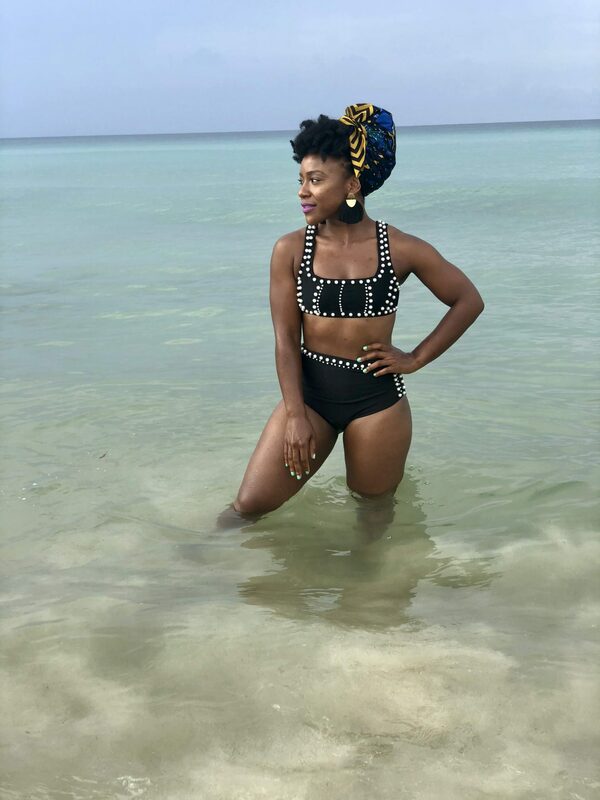 Stay tuned for my future post on things you need to know before your trip! 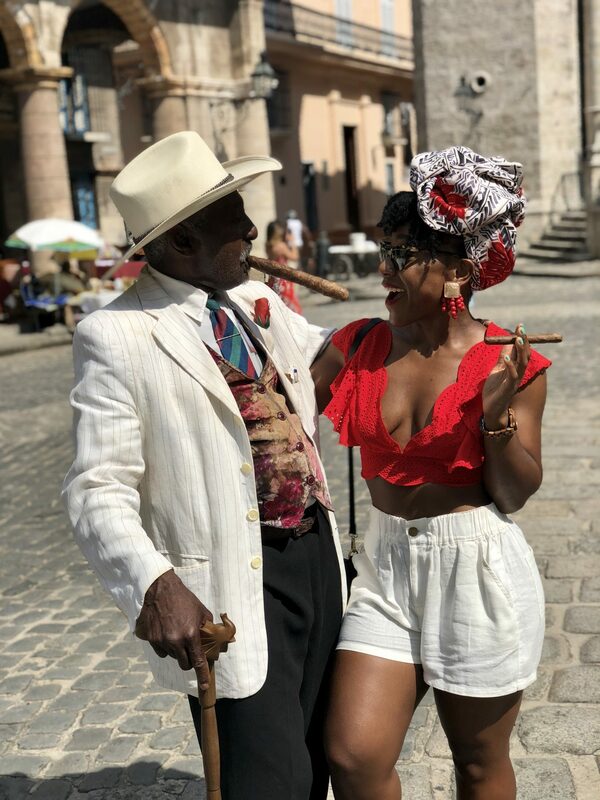 🙂 In the meantime, please share this post on your social media and with anyone considering Cuba on their travel bucket list!